The Source's Second Annual Hip-Hop Music Awards were staged Thursday, Aug. 3, 1995, at Madison Square Garden's Paramount Theater in New York City. The 411 Online, which at that time was a small black-and-white magazine known simply as The 411, was there to cover it. Notorious B.I.G. took home four awards, but the show ultimately will be remembered for heightening tensions between the East and West Coasts. Suge Knight publicly attacked Puff Daddy's need to always be seen and heard in his artists' videos, and the show did not return until 1999. Snoop Doggy Dogg, Dr. Dre, Nate Dogg, Kurupt, Rage, Sam Sneed, DJ Quik, 69 Boyz, Biggie, Puff Daddy, Craig Mack, Faith, Total, Junior M.A.F.I.A., Bone Thugs-N-Harmony and Method Man performed. New Artist of the Year, Solo: Notorious B.I.G. Album of the Year: Ready To Die -- Notorious B.I.G. Lyricist of the Year: Notorious B.I.G. 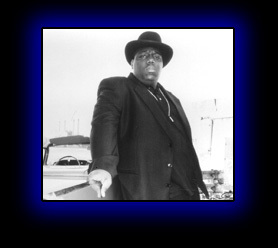 Live Performer of the Year: Notorious B.I.G. Soundtrack of the Year: "Above the Rim"
Best Acting Performance: Ice Cube -- "Higher Learning"